Along the banks of Lake Eustis are the remnants of an old boat factory. The city has also built a nice marina and raised concrete walkways along the shore. 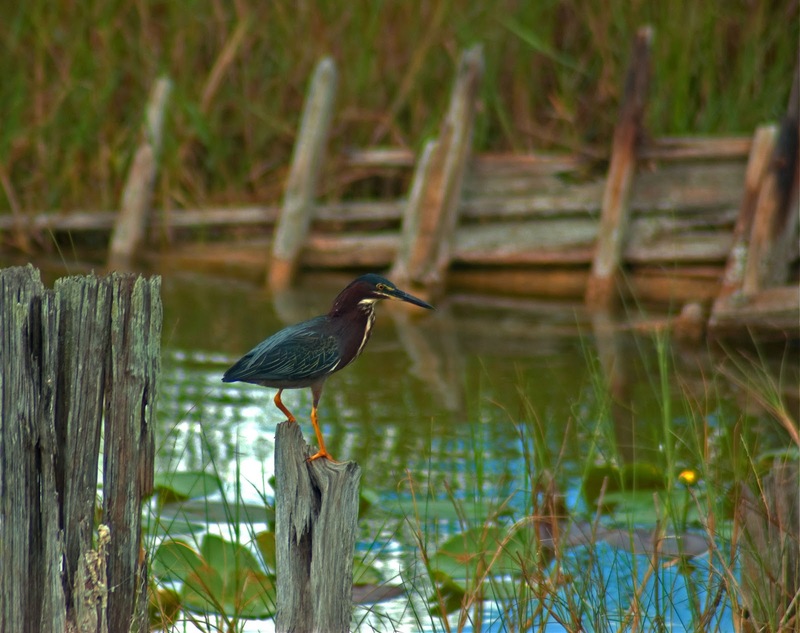 The old pilings and other structures from the boatyard make great perches for birds, turtles and the occasional snake or gator. 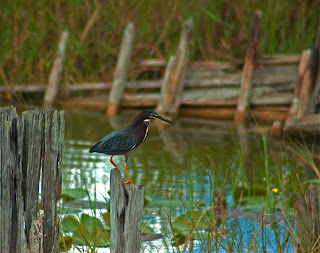 Green herons are one of my favorite birds due to the intensity of their hunting behavior. I waited a considerable length of time trying to see the attack but his attention span is much greater than mine.